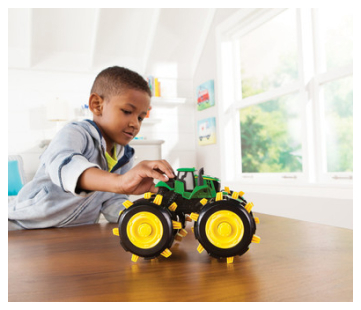 The John Deere Barnyard Shape Sorter teaches shapes and animal recognition as well as encouraging matching skills and hand and eye coordination. The item features a roof top handle for easy portability. The sliding barn door makes for easy access to remove shapes. Includes 14 different shapes.